Newsfeeds » Zamboanga-Basilan Integrated Development Alliance, Inc.
Local Farmers from ZABIDA Partner-Barangays were gathered to showcase variety of products for the celebration of Farmer’s Month with the theme “Makabagong Magsasaka at Mangingisdang Pilipino Susi sa Tunay na Pagbabago. 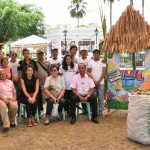 This is through a Farmers’ Exhibit organized by the Zamboanga-Basilan Integrated Development Alliance, Inc. (ZABIDA) – Verde Zamboanga Inc. held at Plaza Pershing which ran from May 26-29, 2018. The activity ended with a culminating program and turn-over ceremony of additional sacks pf Ginger for the Ginger Production as a product processing project for the Farmers. Different Farmers from; Conrisima Upland Farmers Association and IMCON Upland Farmers Association of Barangay Bungiao, Victoria Hills Farmers Association of Barangay Victoria and Upper La Paz Community Base Farmers Management and Assosaciones De Mga Siembradores De Camp Susana of Barangay La Paz. This is under the Bottom-up Budgeting (BUB) and was witnessed by fifteen (15) Partner-Farmers of Reach-Out to Others Foundation, Inc. (ROOF). 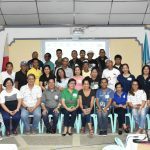 Verde Zamboanga Inc., a coalition of peoples organizations, schools and other Non-Government Organizations in Zamboanga City that focuses on Climate Change Mitigation and Adaptation, gathered its members and other stakeholders last May 26, 2018 at the Zamboanga State College of Marine Science and Technology (ZSCMST). This year’s assembly focused on the presentation of 2017 accomplisments and steps taken towards Climate Change Mitigation and Adaptation. Activities such as; Community Tree Planting, Education, Training and Advocacy, Waste Management, Solid and Water Waste and Research. On behalf of Dr. Milavel D Nazario, ZSCMST President, Prof. Wilson Lambiquit, a Faculty Member welcomed the participants as they host the event. Followed by a solidarity message given by ZABIDA President, Fr. Angel C Calvo, CMF. putting emphasis on Pope Francis’ Laudatu Si’s inspirational message on taking care and being responsible for the protection of the Earth. Thereafter, Dr. Grace J Rebollos, VZI President, expplained the organization’s vision, mision and goals. Hon. Ancelita Dalingay, Punong Barangay of Barangay La Paz, talked about the La Paz Barangay Tree Park. Atty. Eduardo Sanson, Dean of WMSU College of Law, gave a brief Analysis per standard/acceptable survival rate of trees planted monitored. 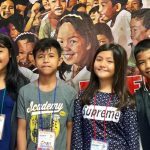 Peace Advocates Zamboanga Foundation (PAZ), gathered more than 60 children in a Summer Camp that took place last May 22 to May 24, 2018 at Our Lady of Pilar Retreat House and Formation Center, Barangay Mercedes, Zamboanga City. 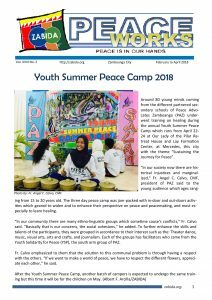 In its journey for Sustainable Peace through Youth Empowerment, the Children’s Summer Peace Camp 2018 was organized to teach the participants the value of Leadership, Teamwork, and Responsiblity through various activities. The camp activities consists of team effort and creative arts such as Visual Arts, Music, Theatre and Journalism. It is aimed that the Children will be able to explore their skills, engage with their fellow participants and their young adult facilitators, take action, and emphasizing responsibility of being part of a team. The Kinaiyahan Housing is the 4th Housing Community of Katilingban Sa Kalambuan Inc. (KKI), a ZABIDA member-organization. 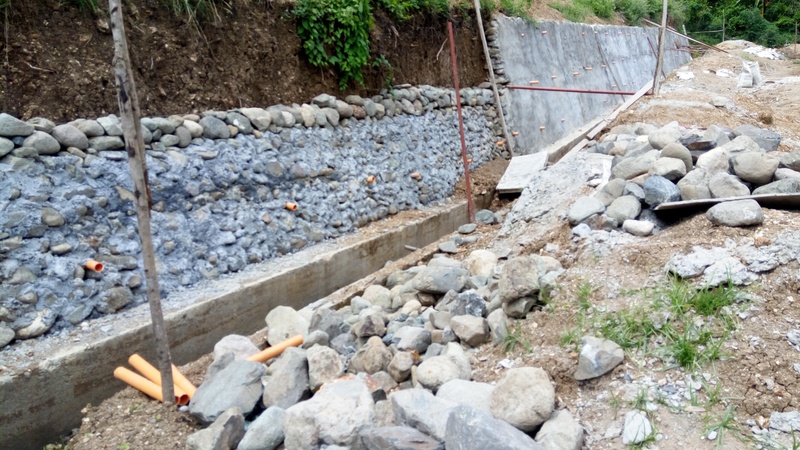 It is also the Housing Project under the 2nd Convenio Project supported by the Spanish Cooperation for International Development Agency (AECID) and Manos Unidas. 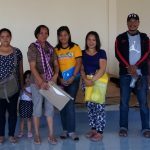 Last December of 2017, 80 household beneficiaries received the keys to their respective units. 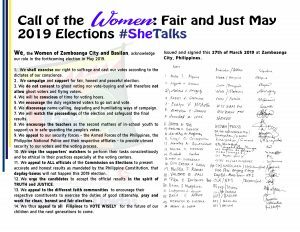 On April 8 of this year, an eelection of officers for the new community took place in Barangay Sinunuc, Zamboanga City. The new set of officers from community President down to PIO are coming from the different associations of K4. The election of officers was supervised by KKI project staff and assisted by ZABIDA housing staff. 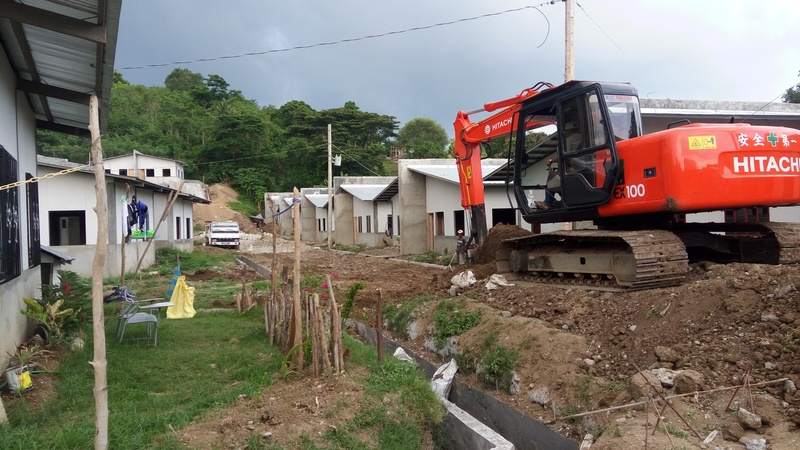 On the other hand, the site development continues as heavy equipment are working double time in clearing the major and minor roads within the housing construction site for easy, convenient and passable roads for the beneficiaries and visitors of Kinaiyahan Eco-Village. Filling materials are being transported away from the construction site to loosen areas that were used as temporary stockpile area for filing materials (recreation area of K4) and other areas where construction is still on-going.